When discussing the appropriate signage to attract the attention of motorists, the graphic artists at Blink Signs frequently suggest the installation of pylon or monument signs for Cleveland business owners. Both signage solutions advertise your company’s presence, brand via the display of your logo and corporate colors, and succeed in catching the eye of drivers. That said, some of our clients feel compelled to switch out their monuments when a nearby business installs a pylon. Should you? In a word: height. The common monument sign is no taller than about five feet. It displays your message at eye height and incorporates beautifully with your landscaping. The pylon is tall and catches the eye of folks that are still quite a distance away. In fact, most pole signs are taller than the buildings that house the businesses they advertise. Doesn’t This Make the Pylon the Perfect Sign? No, it does not. Consider for a moment a neighborhood with a mixed zoning pattern. Residential homes or apartment buildings mix with storefronts, banks, and similar businesses. Having a super tall pylon in this setting makes the company stand out – but not in a good way. It just does not fit the character of the neighborhood. When Should I Opt for a Pylon? Remember also that you do not have to opt for the tallest pylon that we can manufacture. Mall management companies like to use pylons to display the names of the stores doing business at their venues, but they do so with signage that is of moderate heights and, therefore, suits the character of the area. Most business clients who order pylon signs will opt for lit versions to enhance the visibility of their messages. How Do I Know that a Monument is Right for Me? 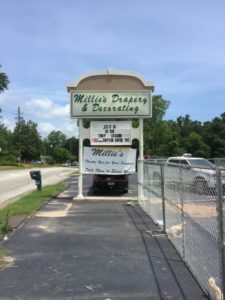 We will design your custom monument sign with optional lighting (including electronic LED message boards) to your needs, then manufacturer your project in our facilities in Atlanta, GA. Once complete, we will send you detailed photography (and a night time view if it’s have integrated lighting). Once you approve, we crate and ship your business sign to your location. The unit will arrive fully assembled, ready to position in place. 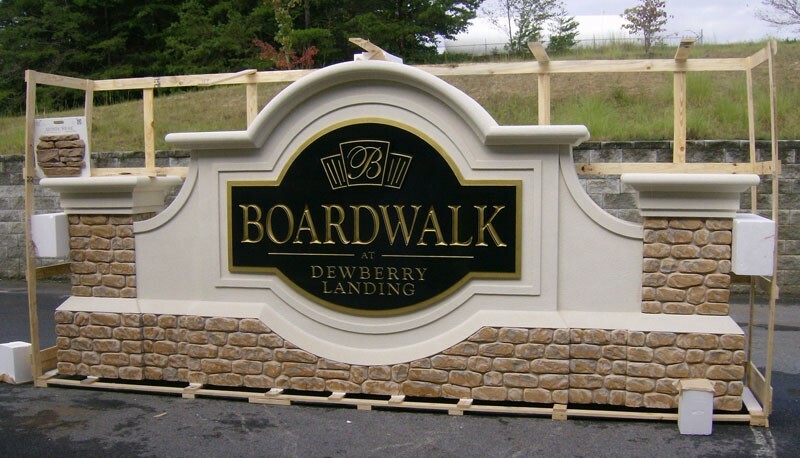 We welcome any challenge in custom pylon signs and monument sign designs, and can produce anything you can imagine! Please use our online contact form to start your next sign project. This entry was posted in Monument Signs by BSM Staff. Bookmark the permalink.